Every country in the world faces inequality and Costa Rica is no different. In this article many points are made by the author. Clearly what is lacking in this article is any incite into why and what causes these issues. Also missing are any sound suggestions on solutions. Most people can spot and talk about the many issues but how to identify the real serious issues and how to solve them is really the issue in every country. This is a meaningful article by an attorney living with his family in one of the wealthiest areas of Costa Rica. But nothing in this article should take away from the wonderful people of Costa Rica. These are hard working and inventive people. Costa Rica is two countries. Or, rather, one country with many dualities and inequalities. I believe these dualities and inequalities hamper Costa Rica’s development. A major problem we have in Costa Rica is our inability to understand how “the other half” live here. Without understanding or acknowledging Costa Rica’s problems, we can’t solve them. 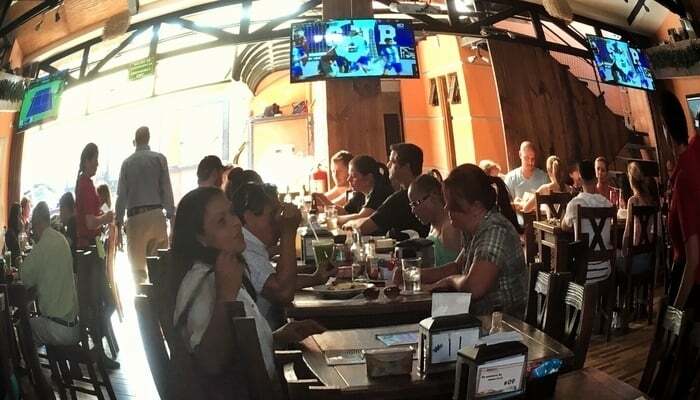 The typical Costa Rican does not often socialize outside of his or her class. Many middle-class and wealthy Ticos don’t know how most of their countrymen live because they rarely get to know or speak to them. The wealthier now live in bubbles, segregated from the less wealthy. These bubbles create a deficit of empathy and solidarity. These segregations limit opportunities for all Costa Ricans, especially those who need it most. I wanted to analyze some facets of social segregation and inequality in Costa Rica, of which there are many. But the most important facets are education, security, and healthcare. I can appreciate the education situation in Costa Rica from all perspectives. My mother was a high school counselor and my father was a teacher. 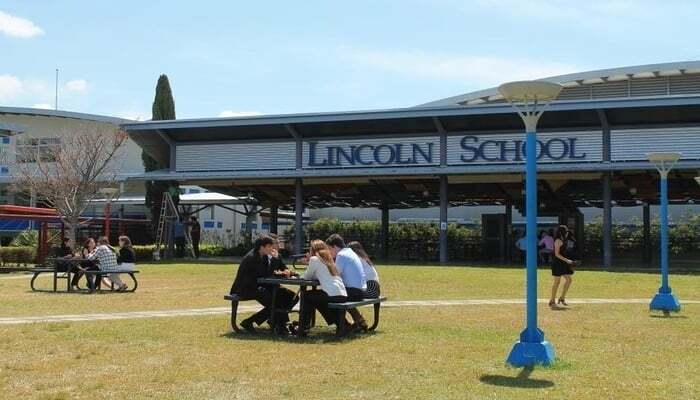 He spent the bulk of his career at various schools on Costa Rica’s Caribbean coast. I started primary school at the Escuela Castro Madriz in Zapote, a district of San Jose. Then it was a few different schools around the canton of Talamanca in Limon Province. I noticed the differences between my school in San Jose and those I went to in rural Limon early on. They were eye-opening. In Talamanca, my fellow pupils often came to school without notebooks, pencils, shoes, or lunch. After sixth grade, I moved to seminary school. My father also attended seminary school and my parents wanted to continue the tradition of a good Christian education. But I only spent two years there because we could not keep up with the monthly school fees. With four kids to support on public sector worker salaries, it was just too hard for them to cover. But those two years were beneficial. When I reentered the public school system, it turned out I was a genius compared to my new schoolmates. The quality of the private seminary school education was so much higher than that of my new school. Not meaning to brag but it made my new academic life almost effortless. It was another wake-up call that there are two Costa Ricas who rarely mix. My parents ended up sending me to the United States to finish high school, which was another eye-opener. I realized the world is big and Costa Rica is tiny, both in a physical and mental sense. After graduating from high school I returned to Costa Rica for college. I enrolled in the University of Costa Rica to study anthropology and later took law at Universidad Latina, a private college. Then I returned to the States to get my postgraduate degree. So why am I telling you about my education? The reason is to show you I have seen and experienced all sides of the education system. Public and private. I have lived on both sides of the inequality divide with education in Costa Rica. While studying at UCR, I received the opportunity to work on a research project at a school in a poor neighborhood of San Jose. Most kids at this school lived in single-parent homes, without fathers. I remember noting the percentage of single-mother households at this school was much higher than that of my seminary school. Some teachers stole food from the school cafeteria. Many teachers were in a perpetual state of crisis. The school lumped together problem students and left them with teachers ill-equipped to deal with them. Teachers unpopular with the school management got the “worse” students while favored teachers got the better ones. It’s easy to imagine the students of this school won’t have many possibilities in life. And this is the reality for most public schools in Costa Rica. Most professional people in Costa Rica attended private schools. Years after leaving school, it’s so easy to distinguish who went to public school and who went to private. At seminary school, we had a chemistry lab and a geology museum. We had a pool where we took classes in water polo. Nothing like this was available at any of the public schools I have ever experienced. 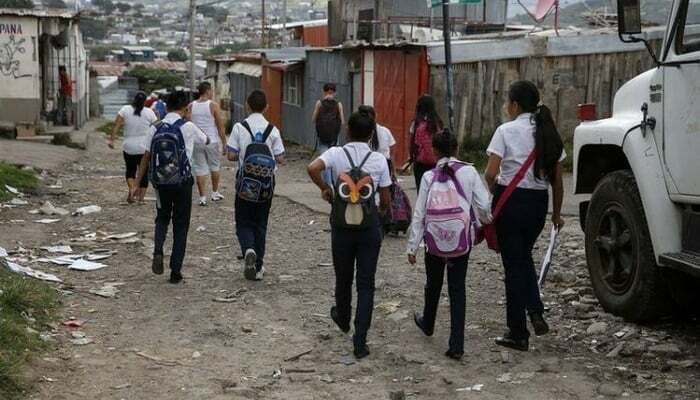 So inequality exists in Costa Rica with education. If you went to a private school, your chances of success in life are higher than if you did not. Most Costa Rican politicians attended private schools themselves. Luis Guillermo Solis went to the Methodist School, Laura Chinchilla to La Salle, Oscar Arias to St. Francis, Jose Figueres to Humboldt and Lincoln, and Miguel Angel Rodriguez to La Salle. That’s a snapshot of recent presidents of Costa Rica. Now ask them where they send their children. And it’s not only presidents. Diputados, ministers, judges, and the heads of various government services. Where do their children study? So if Costa Rica’s ruling classes have no faith in the public education system, why should the rest of us? Within the public education itself, there are also geographical disparities. While public schools in the GAM (Gran Area Metropolitano) are bad, in rural areas outside the valley they are worse. 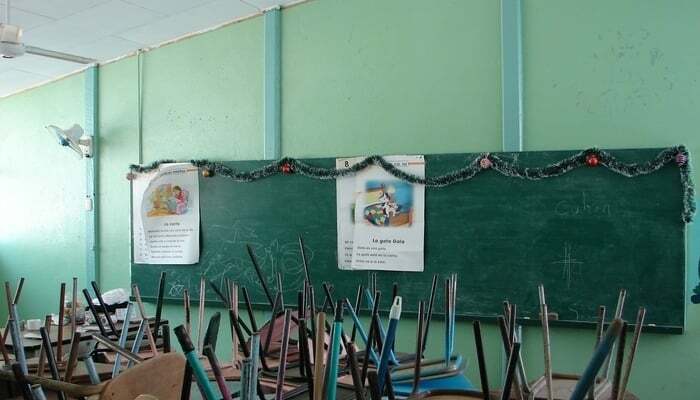 Rural schools in Costa Rica were set up to eradicate illiteracy but little else. Only 23 percent of students in northern Costa Rica have access to a computer according to INEC (the National Institute of Statistics and Censors). This is common throughout rural Costa Rica while in the GAM the figure is above 60 percent. INEC also reports 31 percent of San Jose’s population has at least some higher education, while in Liberia, Guanacaste, it is only 14 percent. In both San Jose and Liberia, the percentage of those who completed their secondary education is 33 percent. But taking into account the fact San Jose has more private schools and better-equipped public schools, it’s clear if you grew up in the GAM, you will be better educated than if you grew up in Liberia. With security in Costa Rica, there is also inequality between rich and poor. In 2014 there were 1,539 private security companies operating in Costa Rica. Now compare this with the 614 police stations in Costa Rica, many of them in states of disarray. Operating out of these stations are around 11,900 police officers. 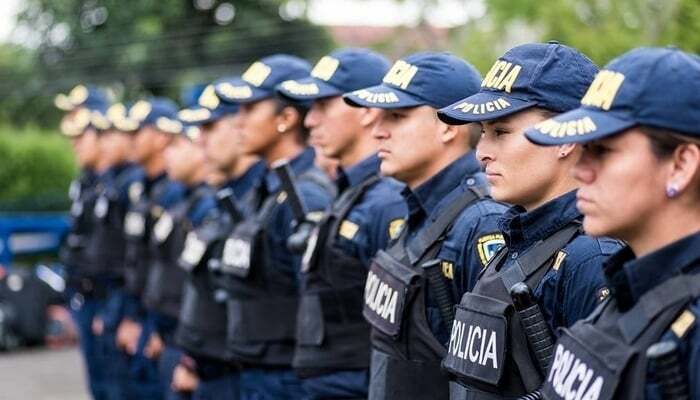 In the meantime, there are almost 28,000 private security officials working in Costa Rica. 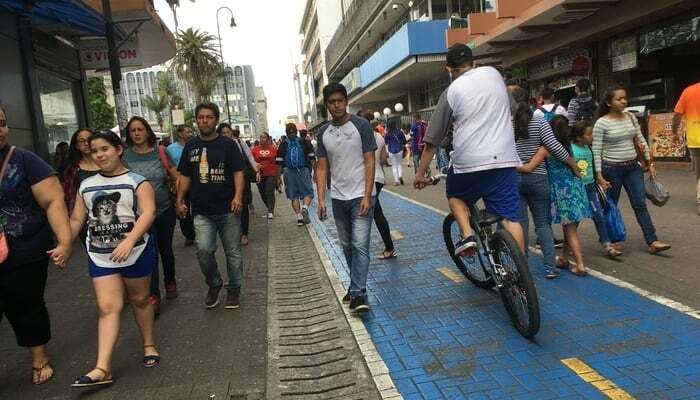 For some Costa Ricans, it makes sense to invest in a private security guard to stand outside their door all day rather than in an efficient state security system to protect everyone. Crime affects everyone in Costa Rica. It affects our way of life so much that the homes of millions of Costa Ricans look like fortresses. We live in walled homes wrapped in razor wire or electric fences. As the wealthy segregate themselves by moving into gated communities and condos, it’s the poor affected most by crime. They live without protection while the rich move to places guarded 24/7 where they can control who walks their private streets. The rich pay for their safety and they are not interested in paying taxes to contribute to the safety of the world outside of their gated communities. That world no longer affects them. It is the “other” Costa Rica. So, inequality exists in the lack of resources made available to protect everyone in Costa Rica. It also exists because those who can afford to do so are separating themselves from regular society. They are moving from public to private communities and segregating themselves. President Solis lives in a condo in Escalante. Again, why should we have faith in public security when the president himself does not? Costa Rica has seen an increase in private health centers because of the great demand for better healthcare than the CCSS (the public healthcare system) can offer. 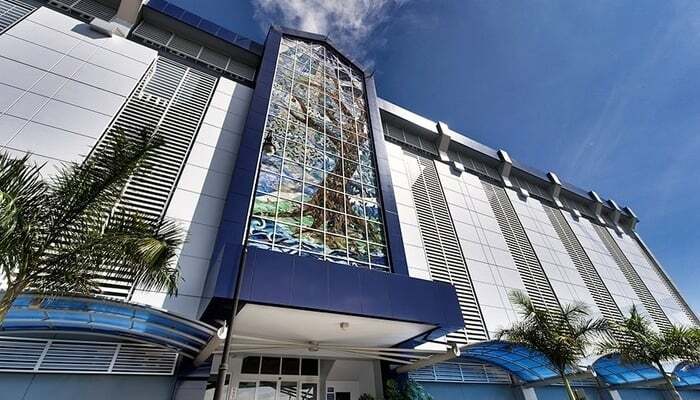 Between 2000 and 2014, private healthcare investment in Costa Rica grew 423 percent, from US$241 million to US$1.2 billion, according to the World Health Organization. In 2008 alone, Costa Ricans spent 245 billion colones on private healthcare, representing 2.1 percent of GDP for that year. On the flip-side, by December 2016, the CCSS had debts receivable in the amount of 54.3 billion colones. The deficiencies in the public system have forced Costa Ricans who can afford it to look for better healthcare options. And so we have another duality. Those who can afford it no longer use the Caja. They distance themselves from public healthcare and consider their payments into it an unfair tax. This, in turn, promotes tax evasion, as people object to paying for a service they will never use. Those left relying on the Caja are the poor, who as we have seen are already less-educated, less protected, and now receive a lesser level of healthcare. The public system’s inefficiencies force many to decide whether to wait years for treatment or pay a private center for prompt attention. If you don’t have the money to pay for private healthcare, then you’re stuck on the wrong side of yet another Costa Rican duality. A few years ago I remember reading about then-president Laura Chinchilla’s husband being involved in a road accident. They took him straight to a private hospital. I remember asking myself why he didn’t go to San Juan de Dios or Hospital Mexico? Yet again, why should we have faith in public healthcare when the head of state doesn’t? Inequality in Costa Rica: What should we do? It’s not my intention to question those who can provide a better education for their children, a safer environment for them to live in, and better healthcare for them. My intention is to point out Costa Rica can develop better if we use our resources in a more efficient way. We should strive to improve the lives of all Costa Ricans, not just the minority of those that can afford it. The Ministry of Finance calculated tax evasion in Costa Rica in 2013 was 8.2 percent of GDP. That came to just over four billion dollars that year. Costa Ricans avoid paying taxes that could be used for healthcare, education, and security. They buy these services privately instead, disregarding the negative social impact of this. Costa Rica needs to reform its system of law enforcement, which comprises three branches; the judicial, the police, and the prison system. While we pay millions for gated condos and private security, Costa Rica won’t be safer without an efficient law enforcement system. The rate of impunity in Costa Rica is almost 95 percent. That means only five percent of crimes result in a conviction. Because of this woeful rate, people have no faith in the system in Costa Rica, and many crimes go unreported. It is no good having an efficient police force if the judicial system repeatedly releases criminals to re-offend. Also, It’s no good to educate our children if there are no good work options for them after school. Investment in education not only benefits children in the classroom but also generates better business opportunities and investment in Costa Rica. Better education would create more foreign investment and help Costa Rican companies expand abroad and invest elsewhere. The key is not to attract a few companies to Costa Rica to provide menial call center jobs. It’s to develop Costa Rican companies so they can become regional and global powers themselves. In Costa Rica, we see Claro, Movistar, Scotiabank, Avianca, and others. Why don’t we see more Costa Rican companies working abroad providing regional and global services? The education system in Costa Rica teaches you how to collect the breadcrumbs, not how to bake the bread. The leaders of Costa Rica should go to work by bus and be late because their bus crashed into a train. They should wait three years for an ultrasound at a public hospital or send their kids to a school with no food or resources. They know nothing of the real life of millions of Costa Ricans and neither do many of us. The social segregation and inequalities desensitize us from the problems we face. It eliminates any empathy we may feel for our fellow citizens because we never have to deal with them. This lack of empathy prevents us from even finding solutions. We can’t continue to live in this tale of two Costa Ricas with two faces. A longer version of this article originally appeared in Spanish on Diario de America. It has been summarized in English with the permission of the author. Rafael Valverde is a social commentator, critic, lawyer, and advocate for immigrant/expat rights in Costa Rica. He lives with his wife, Dawn, in Escazu, Costa Rica. Please feel free to post your comments and thoughts. Previous What is going on in September in Costa Rica? Next Costa Rica plans for increasing employment.